Look what i bought!!:). . HD Wallpaper and background images in the Les Miserables club tagged: les miserables shirt. 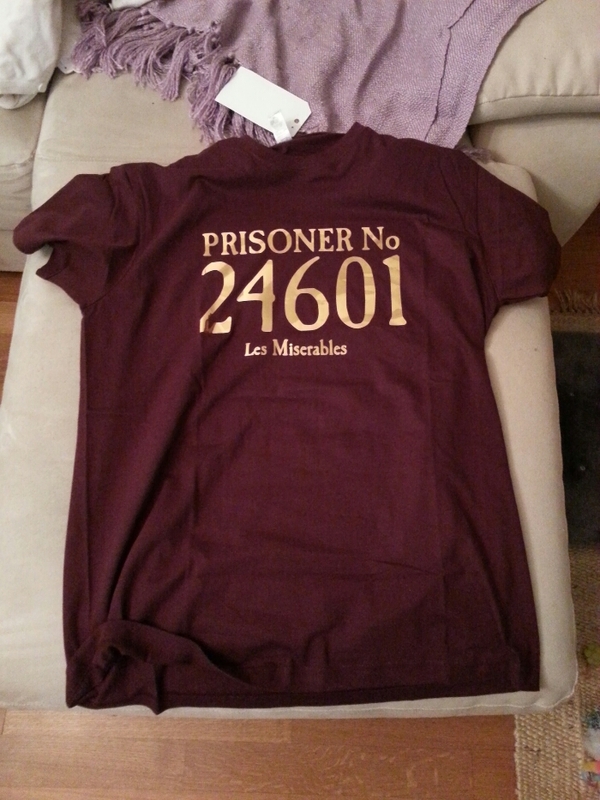 This Les Miserables photo contains jersey, t shirt, tee shirt, and panglamig. There might also be polo shirt, sport shirt, and mahabang manggas. posted sa loob ng isang taon na ang nakalipas. I think the prison number, in the play, represents dehumanization (as they literally take his name away and makes him work as an animal would) which makes it all the greater that Valjean repeats his name (to show he is not broken). I agree, the prison number itself doesn't matter, but the symbolism it holds does.